[German]Again another blog post about the endless topic ‘Network drive mapping doesn’t work in Windows 10’. Microsoft has now admitted in a blog post that mapping network drives is broken under Windows 10 V1809. [German]For security reasons, Microsoft would like to retire the SMBv1 network protocol in Windows and recommends not to use it. In this article I have collected some information on this topic. [German]Microsoft has announced the general availability of LEDBAT for the upcoming Windows Server 2019 version. But LEDBAT can already be used in Windows 10 and Windows Server 2016 optional in an experimental mode. [German]If you depend on the SMBv1 network protocol, you need to pay special attention under Windows 10. Especially Windows 10 V1803 has its own specials regarding SMBv1. [German]Occasionally Windows users (especially under Windows 10) are facing error 0x800704B3. This error may occur during update installation, during network access, etc. An installation is then aborted, for example. So let’s see, what’s behind this error code. 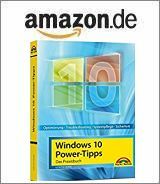 [German]Microsoft’s security updates KB4088875 and KB4088878 for Windows 7 SP1/Server 2008, released March 13, 2018, causes serious network issues with virtual network adapters. They lose their static IP address and are switched to DHCP address assignment.